Memoirs often crush me with human suffering and then, in that fallen state, I accompany the protagonist, trying to find the lessons that will help us survive. In fact, the very nature of storytelling lends itself to the search for answers. In the beginning of every story, the protagonist sets off on a journey to find something. By the end, that search leads to some conclusion. For example, Jill Bolte Taylor suffered a terrifying, life altering stroke in the first half of the memoir, My Stroke of Insight. In the second half, she discovers that she has become a gentler, more compassionate person. By accompanying the author through her stroke, and then through the lessons she learns, I am treated to her elevated version of reality. I recently discovered an author, Lorraine Ash, who accomplished a similar effect, spread across two books. What started as the suffering and coping in the first book, Life Touches Life, ended with the profound conclusions she shares in the second, Self and Soul published ten years later. Lorraine Ash became pregnant late in her 30s, and as her due date approached, she became increasingly excited about the arrival of her first baby. On a routine visit to the doctor, in the eighth month of pregnancy, the technician frantically adjusted her machine, trying to find the heartbeat. More tests revealed that the baby had died of an infection, requiring a cesarean section. The expectant parents had to replace the excitement of a new baby with the emotions of a devastating loss. The baby’s death crushed Lorraine’s understanding of her relationship with God, and unraveled her as a person. Just as maddening as the loss of her daughter was the feeling that the little girl, Victoria Helen, was still with her. The love she felt for her daughter refused to die, making it impossible to follow the advice of grief counselors and friends who urged her to let go and move on. So for the sake of her sanity, she made it her mission to include Victoria Helen into the family. Because she was a professional writer, her impulse was to write about her journey. Her research put her in touch with many women who experienced similar grief but didn’t know how to talk about it. They, too, had been instructed to let go and move on. Lorraine Ash offered them a different approach – to include the deceased baby in their lives. Instead of letting go, she showed them how to use their love to take them deeper into the essence of who they were as loving human beings. The story of her loss, and her search for healing culminated in the memoir, Life Touches Life, in 2004. After the publication of the memoir, her mission to find peace and spiritual truth continued. Through her research, she came into contact with sufferers of other losses and traumas. She realized that her spiritual approach to grieving and growing would help many of these people develop a deeper foundation. Lorraine discovered for herself and wanted to share with others that a devastating loss can be part of an amazing, loving life. After years of research into wisdom literature, developing her own spiritual beliefs and understanding, and counseling people who were trying to absorb losses, she published a second book, Self and Soul: On Creating a Meaningful Life. Self and Soul goes beyond the event that instigated her search. In Self and Soul, she shares truths that could help not only bereaved mothers but anyone looking for a peaceful, powerful view of their place in the universe. In modern times, when so many of us have disengaged from the packaged belief systems offered by religion, our place in the universe seems poorly defined. Self and Soul offers us the hard-earned lessons from an author whose suffering sent her on a pilgrimage to understand how she, and by extension, we, can find our own spiritual center. Many scholars think that civilization is built on the foundation of Story. Traditional societies used lofty, stylized myths to teach fundamental lessons about being human. The Memoir Revolution modernizes that tradition, allowing us to apply the story-form to our own unique circumstances. The more I study memoirs and the wisdom that emerges from them, the more I have come to appreciate that stories light the way through the complexities of life. By my definition, a memoir reveals a sequence of events, told as they unfold over time. Stylistic exceptions allow authors to move chunks of chronological around, using flashbacks, or interweaving two time frames, but in general, the reader is expected to follow the sequence of events. At the end of a story, a final wrap-up called the denouement gives storytellers a chance to summarize their findings and offer lessons they’ve derived. In Jill Bolte Taylor’s My Stroke of Insight she offers the wisdom of living through a stroke. 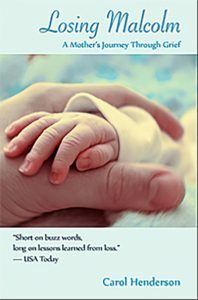 Lorraine Ash’s memoir Life Touches Life ended with conclusions she drew after the stillbirth of her baby. However, she kept learning. Ten years after the publication of her first memoir, she published Self and Soul, a sort of book-length denouement in which she offers an extended version of the lessons she learned since the first. The two books offer a fascinating model for any memoir writers who wonders if they are really ready to write their memoir, or if they need to take more time to grow. Lorraine Ash’s two books offer an elegant answer to that question. Write one memoir now, in which you express who you are and the best lessons you have been able to develop. And don’t stop growing. Use the lessons you have learned through the earlier journey, and continue to live, opening yourself to the next chapter of your life. For an example of a memoir that reveals a search for truth as a chronological unfolding see Dinty Moore’s search for Buddhism in The Accidental Buddhist, in which he develops a deeper understanding of Buddhism by traveling to various ashrams. For another memoir about a spiritual journey through various themes, see Dani Shapiro’s Devotion. My Ruby Slippers, by Tracy Sealey about her search for her roots in Kansas, and her conclusions about the roots of the national culture that can be found in the Heartland. Three Little Words by Ashley Rhodes Courter which describes her childhood in foster care that ends with her plea for more wisdom and advocacy for children caught in that system. This is Part 2 of the interview I conducted with Caryn Mirriam-Goldberg about her memoir “The Sky Begins at your Feet.” In Part 1, (to read Part 1 click here) Caryn shares observations about the spiritual and religious journey. In this Part, she discusses community activism, privacy, style, and other issues that may help memoir writers learn more about their craft. Jerry Waxler: During the period covered in the memoir, you are also very much engaged in organizing an environmental conference, weaving your activism about earth into consciousness raising about breast cancer. This is a fabulous double-value of your story. Do you see the book as a tool of advocacy for ecology work, as well as health? Caryn Mirriam-Goldberg: I see the health issues as relating directly to the environment, and I knew this book very much had to be a bioregional book. By bioregionalism, I mean the tradition of learning from your community and eco-community how to live, how to steward your home place and be a good citizen, and how to find greater meaning and purpose in your life through connection to the land and sky. The conference was actually a bioregional congress, focused on bringing people together from throughout the continent to network, share resources, and inspire each other in living more fully in our home communities. I hope the book does inspire people to, most of all, learn more about their environment, and from that learning, develop a greater connection with their local land, which will naturally lead to the kind of advocacy and stewardship that creates enduring ecological change. I also hope the book helps people see not just more of the connections between cancer and ecological degradation and destruction, but between healing and finding kinship with the trees, fields, birds, skies and other aspects of our homes around us. Note: For more about the bioregionalism movement, click here. Jerry Waxler: How has this memoir been received in your ecology activist community? Caryn Mirriam-Goldberg: It’s been received very well so far, and next week, I’ll be reading it at another bioregional congress, this one at The Farm in Tennessee, so I’ll see more how it speaks to people in that community. Jerry Waxler: I love the characters in your community. So many people reach out with compassion, to help you with food, with caring for your family, and of course the all-important emotional support. In the process of telling about these people, aren’t you to some extent impinging on their privacy? Many memoir writers are confused about how much to say, how much detail to include, whether to change names, and so on. How did you balance your friends’ privacy with your desire to tell the story of friendship and community. Caryn Mirriam-Goldberg: This was an issue I thought long and hard about, and basically, anyone who showed up more than once, I contacted when the book was in its final draft, and sent them a copy of the book to read, letting them know that if there was anything they couldn’t live with, they should tell me. Few people asked me to change anything, but I thought asking was the ethical thing to do. I also shared the final draft with all my doctors, my children, my mother and siblings. I worked hard in editing to remove any references to people (there were just a few) I had larger conflicts with because I didn’t want to use my writing in any way to play out those conflicts. Occasionally, when I did present something unflattering about anyone, I changed the name of that person and that person’s identifying characteristics. Jerry Waxler: You went through a terrifying period, facing the loss of part of your body, and a profound alteration of body image. In the memoir, you have explained and explored this loss of part of yourself, in far greater detail than most of us imagine. What I’m interested in knowing more about is what it felt like to write about this profound relationship between flesh and life. What sort of processing did you do while you were writing about this impending loss? Was it traumatic to write about it? Did writing the memoir help you understand more or cope more or come to terms more with this loss? Caryn Mirriam-Goldberg: I write through whatever life gives me, so I wrote through cancer, not always coherently, but writing helped me sort out my feelings and also helped me make what was happening more real. The writing itself wasn’t traumatic although I’m aware that we can re-ignite trauma in our lives sometimes if we write obsessively about such events (as researched in the work of James Pennebaker and others). Before I lost various body parts, I wrote to those parts of my body (and I wrote some about this in the memoir), using writing itself as part of the ceremony of letting go of my breasts or uterus or ovaries. For me, it’s very important to create ceremonies that involve writing and sometimes spoken words as a way to name the rite of passage, so yes, all the writing helped me come to terms with losses. At the same time, time itself is wildly effective at helping people, including me, make peace in such situations. Jerry Waxler: In a couple of places in the book you use Flash Forwards. For example, you say “I had no idea she would be killed in an accident in 5 years.” The character had no way of knowing this from within her own Point of View. Stylistically, this raises an important puzzle for memoir writers. The Author, the person sitting at the computer typing the book, is older and knows so much more than the Protagonist, the younger one undergoing the experience. How did you steer between these two sets of knowledge? What can you tell us about the relationship between the Author’s POV and the Protagonist’s? How does the unfolding of the Protagonist’s Point of View in the story help reveal what the Author is going to know in the future? Caryn Mirriam-Goldberg: I purposely wrote this book very much from the perspective of being in the future, looking back. Particularly with the big stories of our lives, I think the added perspective of the author in the present can help readers better understand the various ramifications and unfoldings of the story. Two pieces of advice that influenced me were from a poet, who once told me how much we need to let our experiences ripen over time until we can find the real essence of the story or poem that wants to be told, and my oncologist, who said however I felt about my cancer experience would continually unfold and change over time. Also, when telling stories in which mortality is a kind of character, I think having the perspective of time passing allows an author to go much deeper into the hard stuff — the terror and sadness, grief and confusion — without making the reader feel too overwhelmed. Jerry Waxler: The book contains quite a bit of concrete information about the medical diagnosis and treatment. How do you see your role in that regard? While writing it, were you thinking about how it could help cancer patients and their loved ones demystify the technicalities of this journey? How has that turned out so far? Caryn Mirriam-Goldberg: I knew that I had to share at least some technical information because going through serious illness is often a technical journey as well as an emotional and spiritual one. I also wanted to demystify the genetic mutation discussion surrounding breast cancer. Because of fears many have about losing insurance if they reveal that they have the BRCA1 or other genetic mutation, it’s a difficult thing to talk about, and yet we’re only going to change the crazy biases of insurance companies by talking about things like this in print and out loud. I also was lucky enough to know I wouldn’t be dropped from my insurance although several of my doctors told me how careful they were in medical records never to write “BRCA1” but use a symbol instead so that the patient would be protected. I also find that people going through cancer, at some point or another, want and need to know about the technical aspects of their cancer; for example, is the cancer particularly aggressive or slow-growing? We get that information often from numbers on a page, and it’s difficult at times but important to understand these aspects or we won’t have the information we need to make the most informed decisions possible about treatment options. Jerry Waxler: Are you reaching out to offer the book to that audience? Caryn Mirriam-Goldberg: Given that one out of three of us will have a cancer diagnosis in our lifetimes, that audience is actually very large. Just about all of us have had cancer or been close to someone who had cancer, so yes, I did want to reach out to that audience, but this is also a book about losing a parent, finding strength in the land and sky, connecting with community, and making greater peace with living in a flawed, aging and still miraculous body. This interview is part of the blog tour hosted by Women on Writing. To see Caryn’s Blogtour page, click here. John Grogan’s memoir about a dog and his family was a huge success while in print, and then went galactic when produced as a movie starring Jennifer Aniston. Because “Marley and Me” was so popular, I avoided it, preferring to stick to the byways. But the book kept calling to me, especially after my review of a bird-buddy memoir, “Alex and Me” by Irene Pepperberg. So I finally put “Marley and Me” on the reading pile. Now I’m a fan, happy to revel in the pleasures and pains of this story. There’s nothing fantastic or magnificent about a young family and a dog. And so, to earn its success it must have been told exceptionally well. That offers an excellent learning opportunity for the rest of us who want to turn the events of our lives into stories worth reading. Suspense sounds like an emotion best suited for horror or murder movies. However, every story needs to build up enough pressure to keep the reader turning pages. Grogan is an expert at applying this pressure without car chases or ticking bombs. His main tool for generating suspense is embarrassment. Awkward social situations are regular features in stories. For example, when characters are preparing a wedding, there is the implied suspense they might humiliate the family by canceling. Or in a teen story, the protagonist may act against their values in order to avoid being humiliated by peers. I find such tension as gut wrenching as a murder mystery, and considerably more likely to occur in real life. Marley’s oafish doggy behavior constantly makes the reader squirm. In one scene, the family walks through a picturesque town square, with people calmly eating dinner at outdoor cafes. Grogan hints that Marley is about to disrupt the peace and so my heart beats faster. I cringe as they tie Marley to the table. Even though I know it’s coming, I want to stand up and shout “NO” when Marley breaks into a run, dragging the table across the square. After it’s over, I can’t relax, because Grogan keeps me wondering about Marley’s next caper. Write a story about an embarrassing incident. If you’re like me you have probably blotted out your embarrassing moments, so it might be harder to find them than almost any other type of memory. This reluctance to reveal embarrassing situations reduces the impact of my stories. When Joan Rivers tells stories, she goes straight for her most revealing, embarrassing, awkward details, the things most of us would keep secret, and as a result, her stories are world famous. I compare one of his techniques to teeing up a golf ball. First he plants the problem in the reader’s mind, like the fact that on his birthday, there was no party and he was dejected. Later his wife springs a surprise party, proving his family really does love him. By planting the problem in your mind first, and then swinging later, Grogan heightens the tension as well as the ensuing relief. In the previous example, you don’t even realize you were set up until you’re struck by the surprise. At other times, he informs you in advance. So when John and his wife visit the litter of puppies, the seller introduces them to the puppies’ mild mannered mom. But the cagey sales woman evades questions about the dad. After they put money down on Marley, a crazed, filthy dog comes barreling past. This was the father of the puppies and his out-of-control behavior sets us up to worry about what’s going to happen later. It’s natural to want to relieve the tension of a story immediately after establishing it. But sometimes you can generate more satisfaction by waiting. Scan the stories you have written for your memoir, and tease apart the initial tension. Then insert a delay before resolving it. Marley had been invited to act in a movie that was going to be shot in a neighboring town. The Grogans, late to the appointment, pull up to a blockade near the movie set. When the cop learns who they are, he shouts to another policeman, “He’s got the dog.” In that moment, the reader learns about an important emotion because one of the characters says it. Look through your anecdotes and scenes for an episode that would be heightened in this way. Was there someone nearby who said something intense or important or focused that would highlight the emotional impact you are trying to convey? I think pets are people, but since they don’t speak English, the writer must use a variety of techniques to convey the dog’s intentions and “thoughts.” Body language is one such device. Marley crashes through the crowd, or jumps up and puts his paws on people’s shoulders. Another technique is to point out cause and effect. If there’s a thunderstorm and Marley claws at the dry wall trying to dig his way out of the room, it doesn’t take a dog psychologist to know that Marley is terrified of thunder. So now we know one of his fears, even though he can’t speak. Now that we know one of Marley’s hang-ups we can use it to supply even more information, by putting words in the animal’s mouth. For example, after lightening damages the house, Grogan interprets the look on Marley’s face. “It was as if he was saying, ‘See, I told you so. '” Grogan’s portrayal of Marley’s “thought” process is part of the fun of the book. A dog’s life span is short enough that a human can see the whole thing unfolding, from beginning to end. And so, while this is a love story, it is also an exploration of the peculiar fact that we don’t live forever. “Marley and Me” is about loving and losing. We meet Marley as a tiny pup, befriend him, love him, watch him grow up, and then grow older. By focusing on the love between man and dog, Grogan has offered a lovely, uplifting lifelong buddy story, and he makes it seem so easy.